You are a 5th year at Hogwarts and you're sitting in the Slytherin Common Room trying to stay awake and study but you've never been a very studious person so your eyelids are getting heavy and you find yourself falling asleep in a brown recliner while two other Slytherins are able to stay awake with the aid of coffee. There aren't any windows for you to see outside, but since the common room is submerged under the lake you can faintly hear the sound of water just on the other side of the walls. 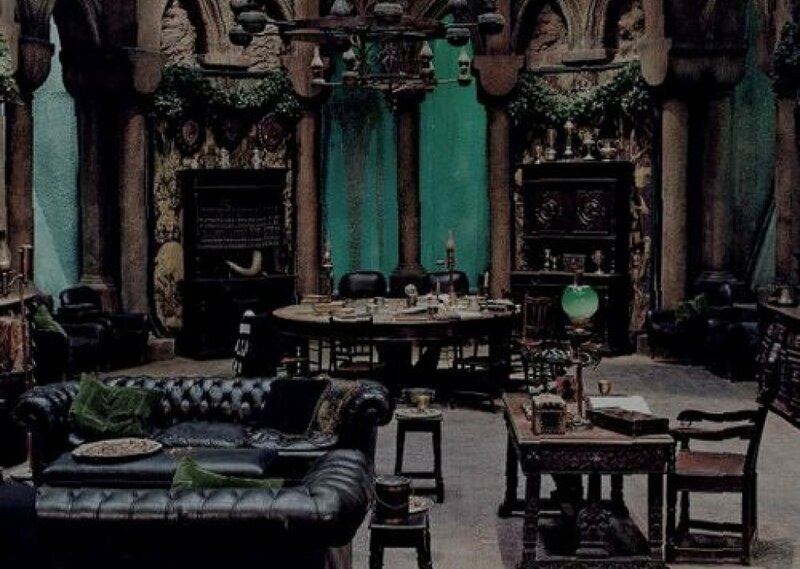 Comments for "Slytherin Common Room"
License details for "Slytherin Common Room"